The Grove is a 60-bed nursing home dedicated to providing skilled and compassionate long-term care. We believe in a holistic approach to the care of each resident that provides for the physical, emotional, intellectual, social and spiritual needs of each resident through the efforts of a multidisciplinary team. 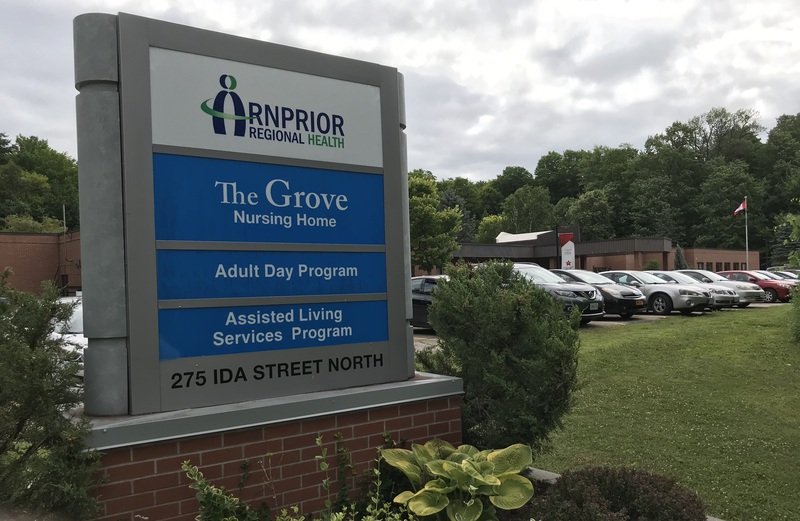 In August 2017, the provincial government announced funding for 36 additional beds at the Grove Nursing Home. Construction is expected to begin in Fall 2018. Long-term care is a provincially funded and regulated health care service that exists as part of the province’s publicly funded health care delivery system. Access to a long-term care home is based on assessed health care need, not ability to pay. There is a resident co-payment, but government subsidizes this cost for those residents who need the care but cannot afford to pay. The Home and Community Care branch of the Champlain Local Health Integration Network (LHIN) determines who is eligible to be placed in a long-term care home, manages wait lists and coordinates placement. Take Highway 417 until you come to Arnprior turn-off sign and follow it to the right and follow Madawaska Blvd. Continue over the bridge and go through three sets of lights. Continue to follow Madawaska Blvd. to Ida Street and turn right. Adequate parking is available 24-hours-a-day, seven-days-a-week at the front of the Grove and there are clearly designated accessible parking spaces. Parking at the Grove is free for all visitors. Please remember in the winter months to remove any wet footwear. Please also protect our residents by washing your hands.